Time to fight like a knight! 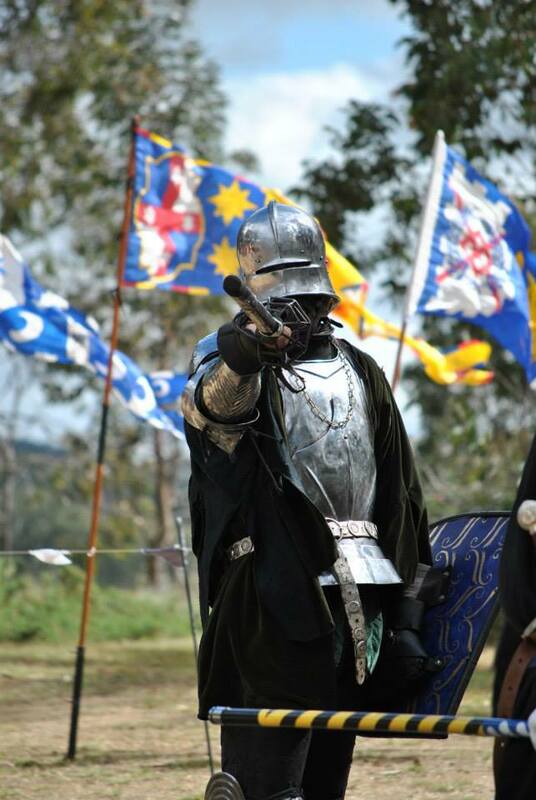 The Canberra chapter of the Society for Creative Anachronism invites Canberrans to pick up a sword and fight like a knight as they learn the arts of medieval warfare in this full speed, full contact pursuit over an 8 week “Foundations of Combat” course commencing on 1 March. Enter into contests of skill at arms with the raw intensity of a real battle in a modern day Game of Thrones. The Society for Creative Anachronism (SCA) is an international organisation devoted to bringing the Middle Ages and Renaissance to life through research and re-enactment, employing their knowledge of history to enrich their lives and the lives of others. With over 100,000 participants worldwide, the SCA is one of largest living history societies in the world. This course is designed to teach the fundamentals of armoured combat in the SCA and will run from 1 March 2015 on Sundays in Ainslie at the Ainslie Scout Hall, corner of Ebden and Hassall Streets. SCA fighting is not the impractical and highly stylised fight choreography seen in Hollywood blockbusters but a martial art that is designed to emulate armoured combat in a way that allows you to deliver full powered blows without hurting your opponent. Male and female fighters dress in armour, which ranges from full plate steel to padded doublets and leather, to protect them while wielding swords, spears, and axes made of rattan to simulate the balance and handling of original weapons, without the lethal qualities. In the accelerated rush of the modern world, the SCA’s timeless appeal draws together a unique and diverse group of people. You will see university students, authors, actors, doctors, lawyers, engineers, and firefighters – people of every age and from all walks of life together in a celebration of more fabled days of yore.